Hospital Clínico Universitario de Santiago de Compostela (CHUS) is the main Hospital in Galicia, and manages at present more than 100 research projects funded through competitive calls, more than 800 clinical trials as well as numerous collaborations with industry. Genetics, Vaccines, Infections and Pediatrics research group (GENVIP) is a clinical and translational research group from the HealthCare Resarch Institute of Santiago specialized in pediatric infectious diseases and clinical trials. 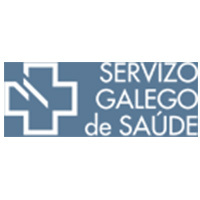 CHUS is part of Servicio Galego de Saude (SERGAS), an autonomous administrative body responsible for the management and provision of health services in the Public National Health Care system in the Region of Galicia. It includes a network of 14 hospitals of which 3 are university hospitals, 457 primary health care centers and more than 37.000 workers (7314 physicians). Biomedical research and development is one of its most important activities, which in 2015 resulted in 2300 biomedical publications. Mainly involved in WP6 and WP5.